A lot of people would really like a Porsche, myself included. Actually, I drove one once. Back when I was in college I was watching someone’s house while they were off in Europe somewhere and I have to admit I couldn’t resist taking out their convertible cherry red 911 baby. I sure felt cool and I couldn’t believe how EVERYONE turns their head to see who’s driving. They probably thought I was some spoiled rich kid who’s daddy bought her a Porsche. I wish. But I did have my brief moment of glory. Anywho, what was I saying? Oh yeah. A lot of people would really like a Porsche, but this guy REALLY wanted one. So much so that he built his own. The engine did have quite the power to match a real certified version. But it looks like he was having his moment of glory too. 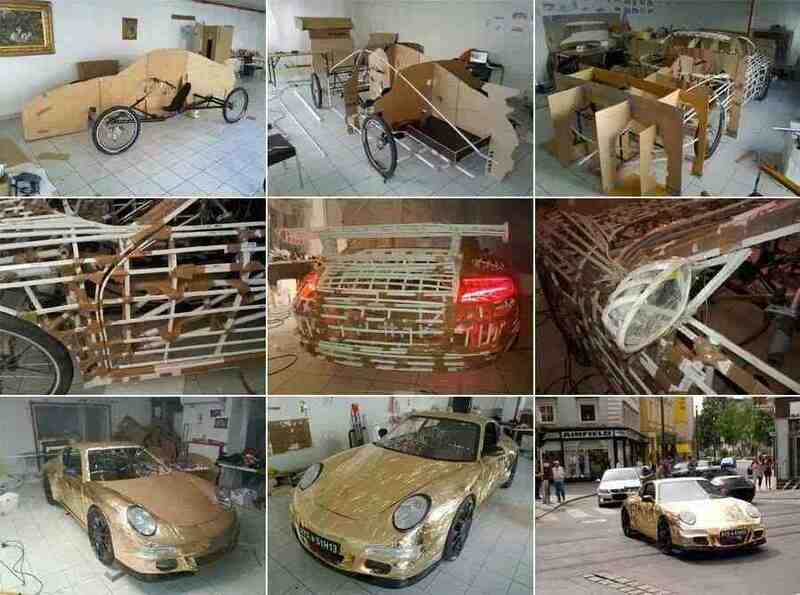 To find out more about it, check out the DIY Porsche at 911 Nation. And let me know when you build your own. By the way, I never told them I drove the Porsche, so let’s keep that on the down low. Oh yeah, one more thing… If you like the Porsche, you’re going to love this DIY Ironman suit.